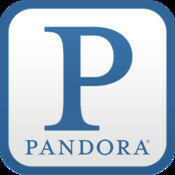 Pandora has won a federal court decision rejecting efforts by ASCAP and some music publishers to define the license that enables Pandora to to play their music. The judge's decision effectively prevents artists from removing their music from digital services licensing music under federal statues. "We're obviously gratified by the result," said Kenneth Steinthal, a partner at King & Spalding in San Francisco who represents Pandora told Reuters, U.S. District Judge Denise Cote upheld an existing decree that required ASCAP to license music to Pandora from 2011 to 2015. ASCAP has 470,000 members. The decision bolsters Pandora's attempts to renegotiate the royalties it pays to rightsholders, and comes just as it's toughest competitor to date - iTunes Radio - launches.